The scope of this site, deals with Parlington Hall and to a lesser extent the Gascoigne Family, I have also added where appropriate information I have discovered of other Gascoigne related topics. This page sets out the details of one such area of interest, the Gascoigne Spa Baths in Boston Spa... Yes they owned their own SPA! Just a few miles [maybe 8 miles or so] up the road from Aberford, sitting on the west bank of the River Wharfe is the small village of Boston Spa. 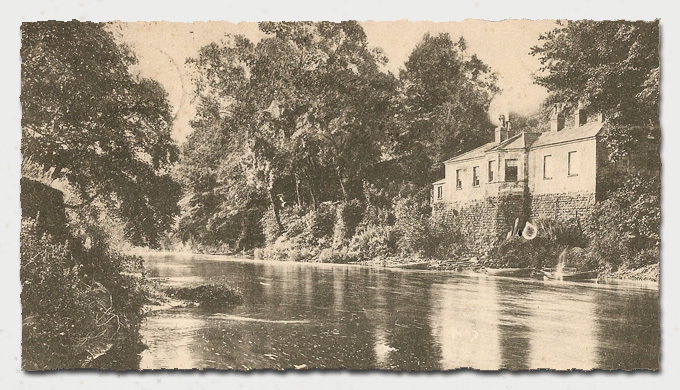 The header picture is of the Spa Baths in the early twentieth century, note the rowing boats on the bank. Discovering the sale of the baths, leads one to the question, when was it purchased, sadly at this time I have not discovered who by or when the purchase was made. Although I think it reasonable to assume that it was one of the acquisitions made by Sir Thomas Gascoigne, in the late eighteenth century. The following from Wikipedia may be pertinent. In 1744, John Shires established Boston as a spa town when he discovered magnesian, limestone and sulphur springs. In those days it was known as Thorp Spa. It declined when Harrogate became very popular as a spa town. In 1753 it was decided to turnpike the Tadcaster to Otley road which runs through Boston Spa. 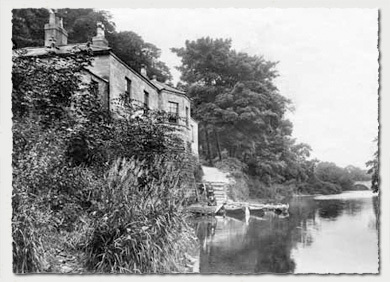 In the same year, Joseph Taite built a house for the accommodation of visitors in Boston Spa. This would become known as the Royal Hotel - still standing, but now converted into flats and shops. By 1819 Boston Spa had a population of over 600, and several inns and other houses offering accommodation. The spa baths had also been built by this time to allow visitors to take the waters. 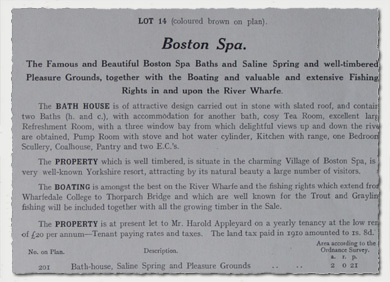 On Tuesday 30th May 1911 at 3:00pm the Boston Spa Baths along with a Corn Mill in Sherburn in Elmet and some agricultural land were sold at auction, by order of T. Herbert Prater, Esq., Agent for Col. F. R. T. T. Gascoigne D.S.O. The famous and beautiful Boston Spa Baths and saline spring and well timbered Pleasure Grounds, together with boating and valuable extensive Fishing Rights in and upon the River Wharfe. The PROPERTY which is well timbered, is situate in the charming Village of Boston Spa, is a very well known Yorkshire resort, attracting by its natural beauty a large number of visitors. The BOATING is amongst the best on the River Wharfe and the fishing rights which extend from Wharfedale College to Thorp Arch Bridge and which are well known for the Trout and Grayling fishing will be included together with all the growing timber in the sale. Note: - We are informed that more visitors than ever visited Boston Spa last year and its increasing popularity is assured. The mines and minerals are included in this lot. So there we have it, the Gascoignes' wanted for nothing, but by the early Twentieth Century, some five years after the old Colonel died at Parlington, his son had started selling the family silver, so to speak. Moving to the twenty first century; the property still stands but is a private development of a few dwellings. No chance of a refreshing bath I'm afraid! 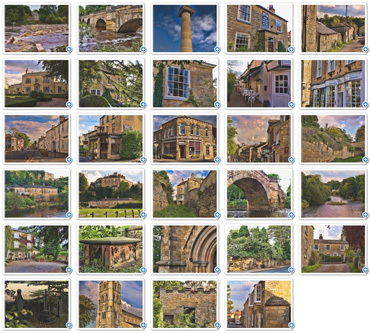 View the image slideshow of Boston Spa.